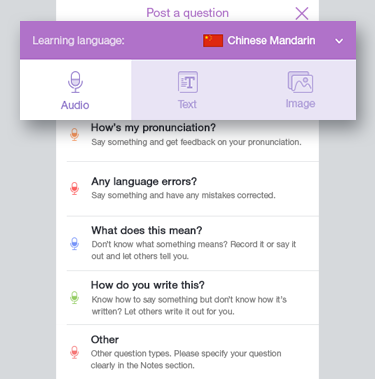 Help others out by creating Exercises about the language(s) you are fluent in. Press the "+" button at the bottom of the screen. Select the language that you are teaching for this exercise, then choose an exercise template from the three types of exercises below. 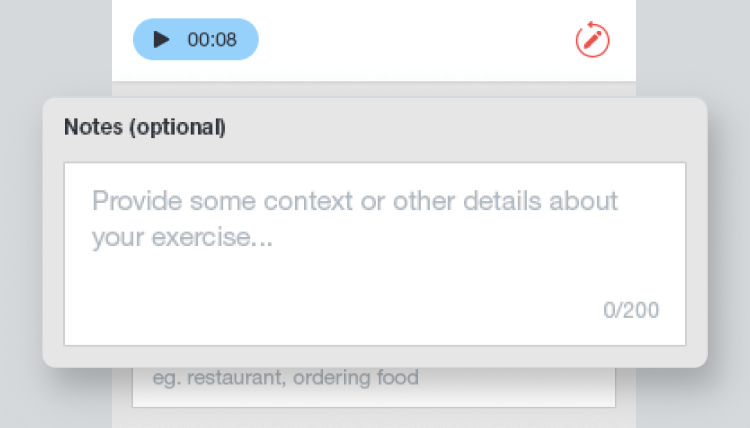 Record an audio clip and ask others to repeat or type what you said, etc. Type a word or phrase and ask others to record themselves saying what you wrote, etc. Upload or take a picture and ask others to name the object in your picture, etc. Choose a template from one of the exercise types, or just choose "Other" if you can't find a template that you want to use. 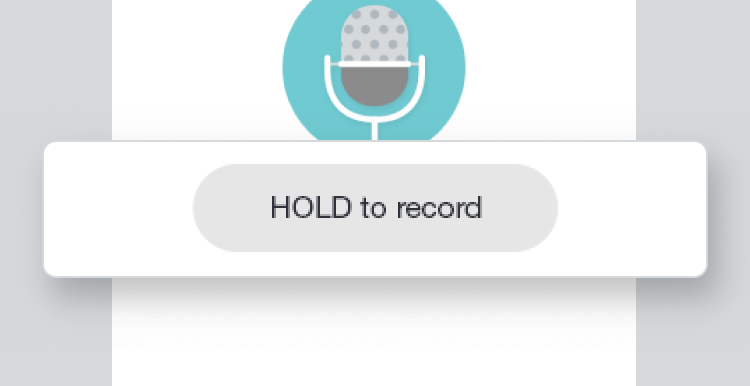 Press and hold the record button, then record yourself saying the word or sentence that you want to ask about. 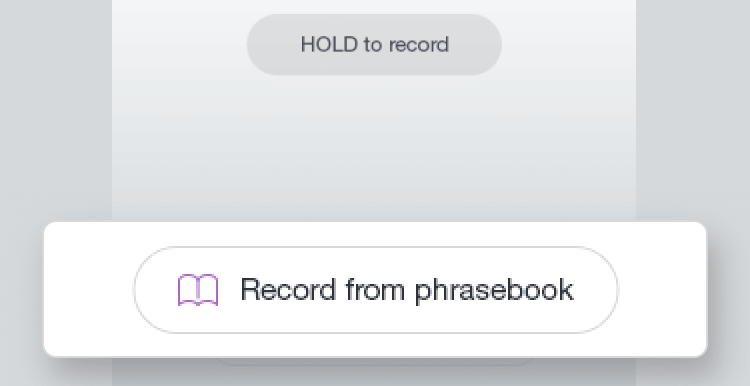 Alternatively, you can record something from the built-in phrasebook. 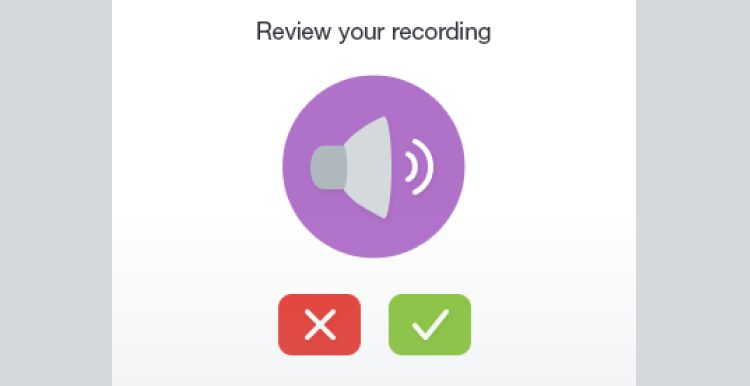 When you're done recording, let go of the record button then play back your recording to review it. If you're happy with your recording, tap the "✔" button. To redo your recording, tap the "🗙" button. 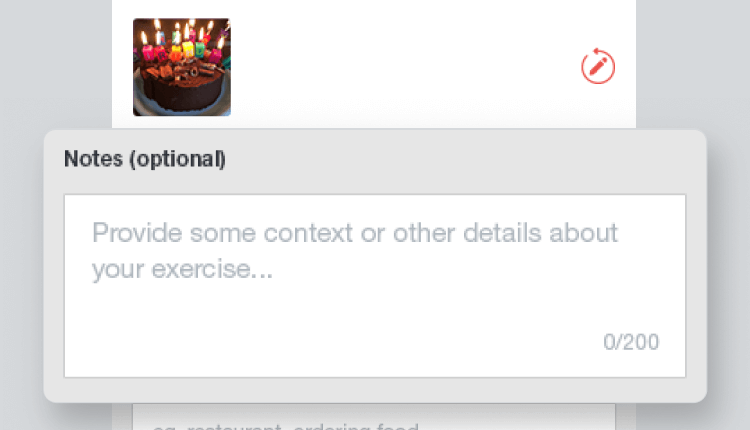 To add some details about your exercise, type it in the "Notes" box. To further customize your exercise, tap "Advanced Options" then choose your settings. If you want to have a time limit for accepting answers from others, choose "Yes" for "Choose winner?" then set the date when your exercise will end. Once you're done, press "Post Exercise." In the first box, type the word or sentence that you want to ask about. Choose to upload a picture from your gallery, or take a picture with your camera. Now that you've posted your exercise, just wait for someone to reply. 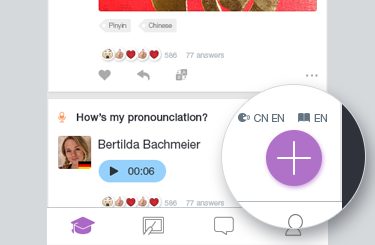 Make sure you check others' answers and give them some feedback! If you set a time limit for your exercise, you can select one "best answer" among the replies that you received.